HM Queen Elizabeth II Attends a Horse Show in Scotland. 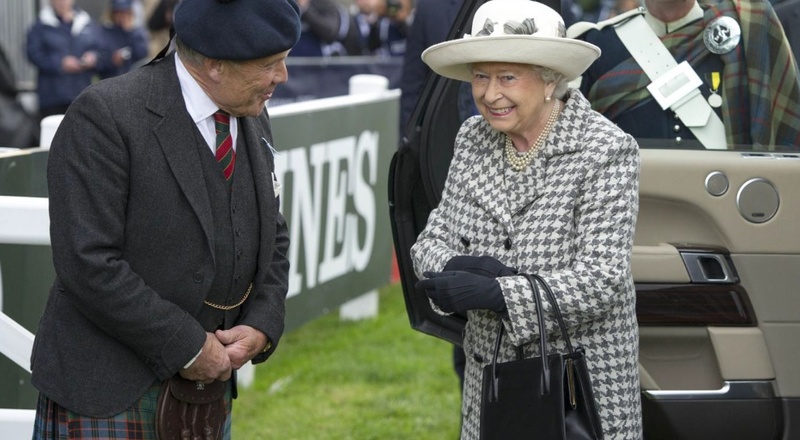 On Sunday, September 13, 2015, Her Majesty Queen Elizabeth II and His Royal Highness The Duke of Edinburgh attended the Longines Fédération Equestre Internationale (FEI) European Eventing Championships held at Blair Castle in Perthshire, Scotland. “…the final opportunity for European nations to qualify for the Rio 2016 Olympic Games with 80 competitors from 16 nations taking part over four days of competition, in front of a crowd in excess of 60,000. The event includes international three-day eventing, British Showjumping, Highland Pony showing, Hunter Show, National Pony Society Scotland Finals, Pony Club Games, Ex Racehorses and Ridden Clydesdale Championships. After the competition, Her Majesty presented medals to winners (teams and individuals) including Mr. Michael Jung who won the gold medal. Click here for more information about yesterday’s event.